The MDS Clinical Research Consortium is an unprecedented, six-institution consortium designed to undertake unique studies and trials to significantly advance treatments and improve outcomes for patients with Myelodysplastic Syndromes (MDS). This five-year, $16 million initiative is sponsored by the Aplastic Anemia and MDS International Foundation (AAMDSIF) of Bethesda, MD, and supported by the Edward P. Evans Foundation. The Consortium fills a major gap in MDS-related clinical research in the United States by providing a new “critical mass” of patients and patient data to support the evaluation of promising new compounds, epidemiological studies, and translational studies leading to new classifications, treatments, and procedures. 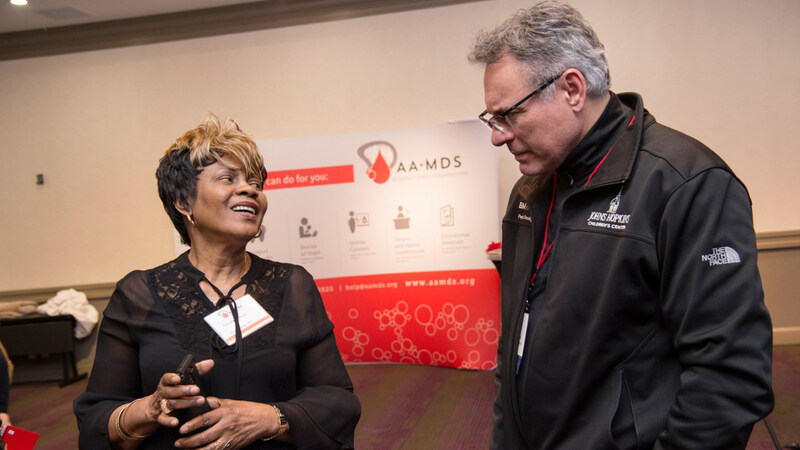 Concurrently, AAMDSIF has expanded its programs for MDS patients, families, caregivers, and local physicians that support and complement the aims and purposes of the Consortium and thus contribute to its impact and success. 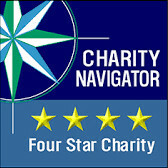 Participating programs are based at U.S. academic medical centers that serve a high volume of MDS patients; that maintain a current and historical patient data base; and that have a current and retrospective MDS patient cohort of sufficient size to have a very significant track record of participation in MDS-related clinical trials. Centralized clinical operations (data collection and management, biostatistics, clinical trial accrual, supervision of research protocols) are based at the Cleveland Clinic Taussig Cancer Institute. “We are extremely pleased to work in partnership with AAMDSIF and these six outstanding Consortium members. This collaborative endeavor reflects Mr. Evans’ desire to support the highest quality MDS research which will lead to improve treatment for patients and ultimately to find a cure”, said an Evans Foundation trustee. The Consortium is co-chaired by Amy DeZern, MD, MHS at the Sidney Kimmel Comprehensive Cancer Center - Johns Hopkins School of Medicine, who will provide oversight and direct for all scientific matters. The Consortium is administered by AAMDSIF. The Consortium conducts Phase I and Phase II clinical trials along with pilot studies to identify and confirm new treatments and therapies for MDS. Working collaboratively to develop and implement a clinical research agenda, the six institutions are able to pursue that agenda more rapidly and effectively than has ever been done previously in MDS clinical research. Each of the six institutions receives support for a principal investigator, clinical research nurse, data manager, and a clinical research fellow. Known as “Edward P. Evans Fellows”, each fellow has the opportunity to work, learn, and grow in a truly collaborative environment, and will likely become the MDS clinical research leaders of the future. We are extremely grateful to the Edward P. Evans Foundation for their vision and support in making the MDS Clinical Research Consortium a reality. Their support along with the commitment, dedication, and expertise represented by the six Consortium institutions, and the AAMDSIF, has created a new direction for MDS clinical research, leading to better treatments for MDS patients. This effort is nothing less than revolutionary. The consortium advances clinical research in MDS is multiple ways, through an approach known as clinical trial acceleration. In short, clinical trial acceleration makes it possible to enroll patients in trials more rapidly from multiple research site. With rare diseases like MDS, this is especially important since even in major medical centers, it’s difficult to find enough rare disease patients with similar enough conditions to enroll in clinical trials within a short period of time. Principal investigators (PI) in the consortium frequently work with additional researchers in their institutions, and collaborate with other institutions to conduct research and train Evans P. Edwards’ fellows who work alongside the PI’s. Thanks to their ability to collaborate on research, CRC-funded principal investigators authored or co-authored 106 accepted abstracts accepted for the Annual Society for Hematology (ASH) 2014 meeting. Edward P. Evans Fellows authored/co-authored 32 accepted abstracts and one Fellow was co-author on plenary session, a prestigious position for an early career researcher. Along with accelerating enrollment, the MDS CRC has compiled the largest data base in the U.S. of MDS patients treated with hypomethylating agents. The database is available for consortium researchers to draw from for conducting retrospective studies that can be rapidly executed since the records already exist. The six sites are also collecting and sharing samples for the same purpose; to have a ready resource of physical material available for research into MDS. Originally published on Thu, 06/28/2012 - 11:32am. Last updated on Wed, 09/19/2018 - 10:57am.